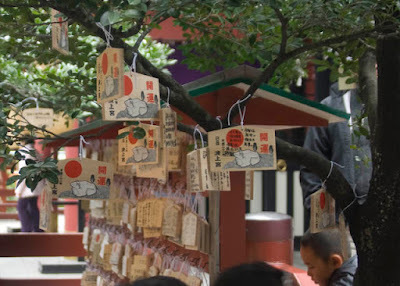 Another Japanese New Year's tradition is to hang "wishes" on a tree at a shrine. You can purchase a small wooden plaque (called ema) and write your wish on it. You then hang it on a tree.